There is never a dull moment in the Timbavati wilderness. The incredible wildlife sightings that Umlani Bush Camp guests and guides have been spoilt to lately are testament to that. Recent Umlani guest, Annie Adam, shared her photos of the most amazing lion sighting. Not only did she and the other guests enjoy seeing one of the rare white lionesses close up on a game drive, but they were also treated to front row seats to that lioness and one of the mighty male’s mating. Thanks Walkers Camp for the sighting. Who can resist gushing over young African animals? 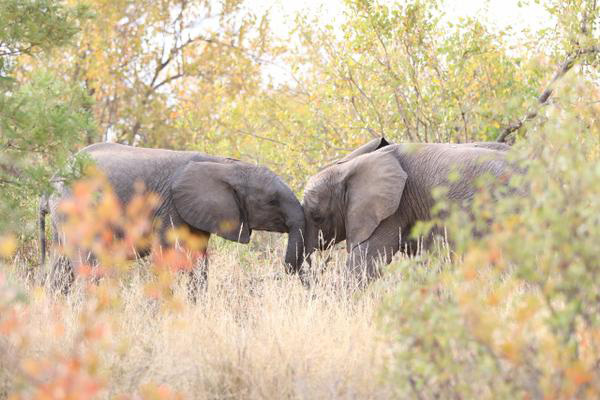 It is always a treat to see them playing and learning in the bush. 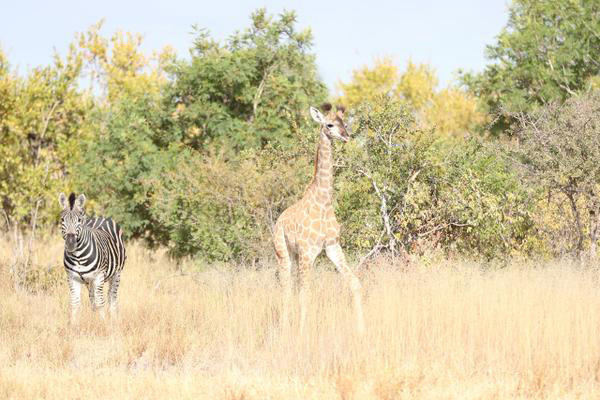 This great shot captured the spirit and cuteness of this little giraffe and her nearby zebra friend seen in the reserve. This very special Umlani elephant encounter was beautifully immortalised in this photograph. 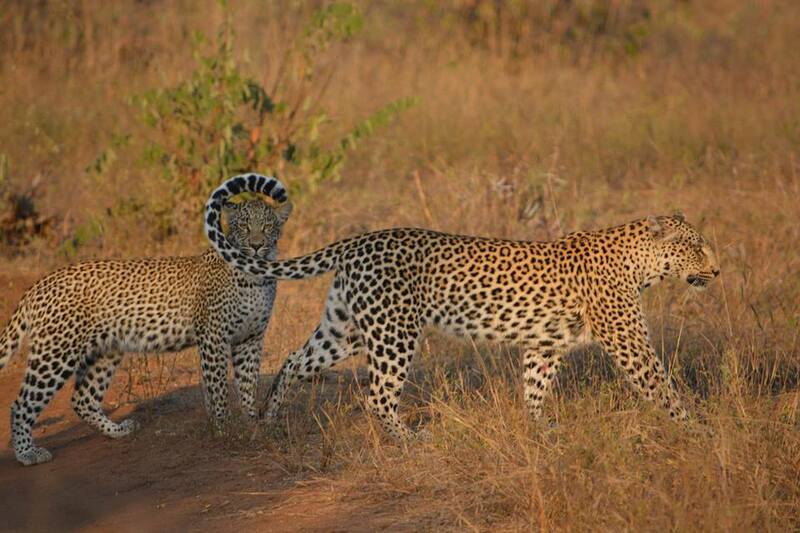 The two young males and their playful antics were watched by fortunate guests for ages. Umlani volunteers, Kaira de Kock clicked at just the right second and captured this perfect moment in her photograph. It is always very lucky and memorable to see leopards in their wilderness home, but this picture and its natural, artistic framing of the one cat makes it even more “wow”. 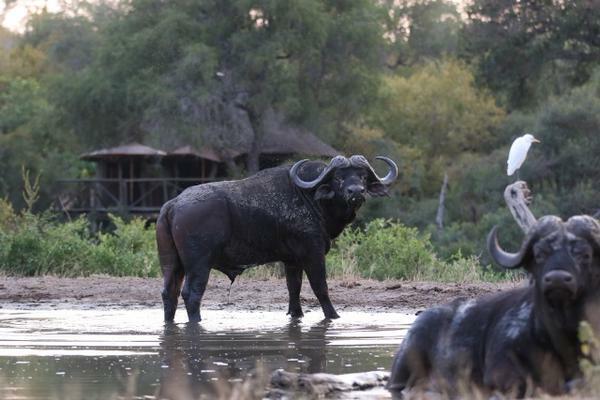 The moody character of these giant Umlani waterhole visitors was caught on camera by freelance guide Mike Lentz. We just love the composition of the photo and how it shows off the impressive buffalo (and egret) just owning that waterhole while they enjoy it. Blog also shared on the Timbavati website.